Minimum quantity for "Square Bottom Purse" is 1. Limited Manufacturing Run: Our Square Bottom Purse increases the size of our Mayflower Purse and adds a square flat bottom so it can rest standing up. This alpaca purse measures 14" Wide, 9" High, and has a square base of 4". The braided construction is made using 2/3 Alpaca Yarn woven with 1/3 Potpourri Cotton color accents left over from other projects at the mill. 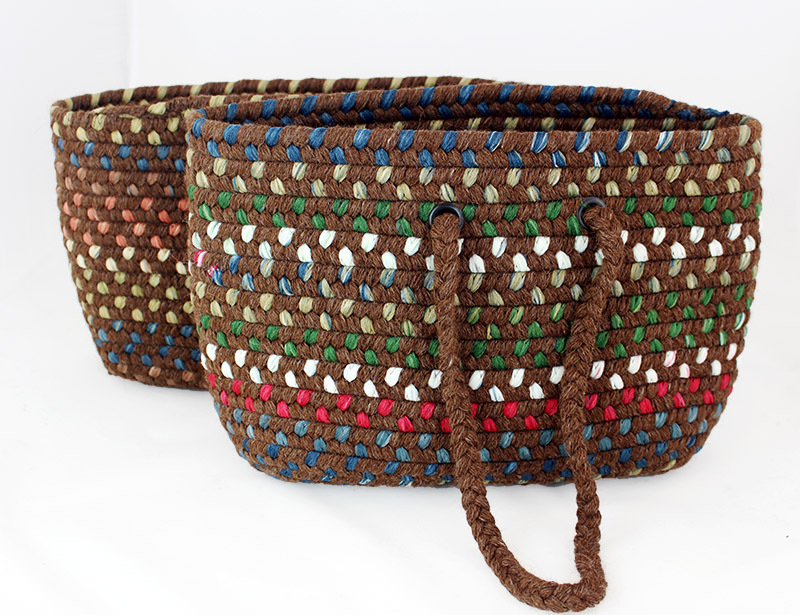 The braided construction and square bottom make for a sturdy, functional alpaca accessory!